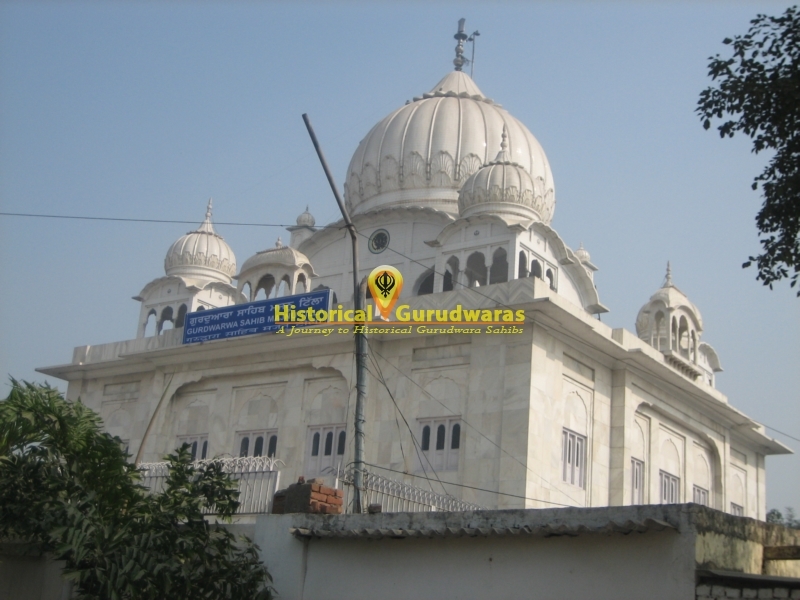 GURUDWARA SHRI MAJNU KA TILLA SAHIB is situated on the outer ring road on the Bank of River Yamuna. 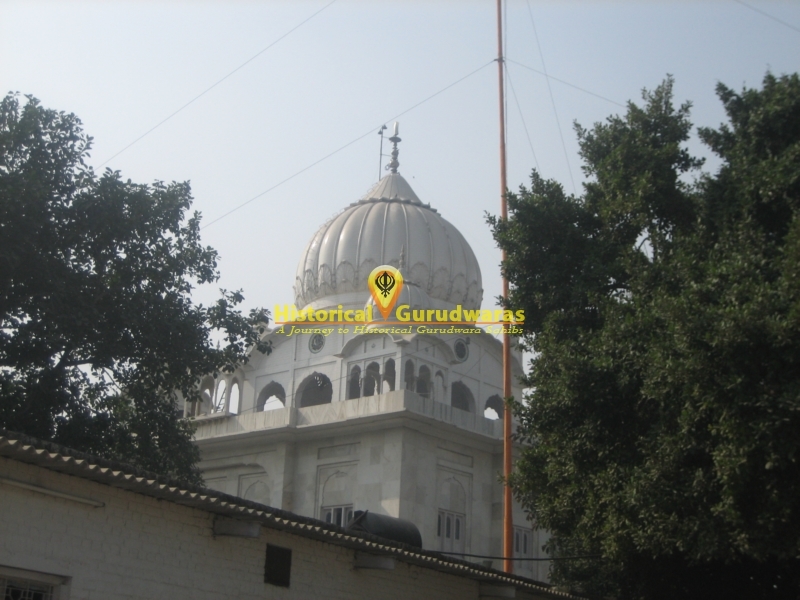 Its situated on the north of CHANDANI CHOWK. A muslim saint named Majnu used lived here. He having love for fellow human being was widely adored. 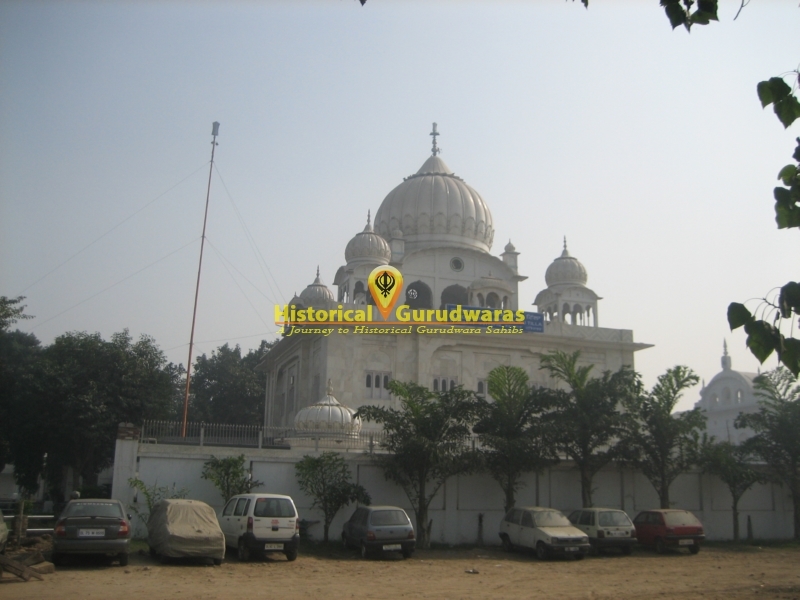 SHRI GURU NANAK DEV JI visited to his place. GURU SAHIBS company inspired in him blissful innateness. 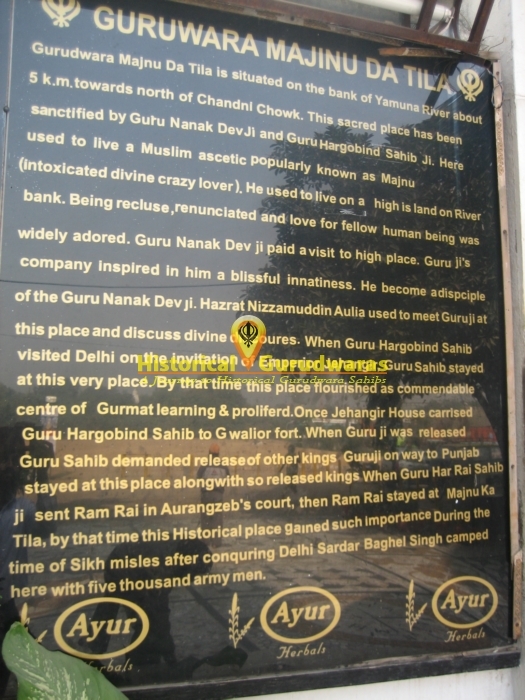 He became disciple of SHRI GURU NANAK DEV JI. 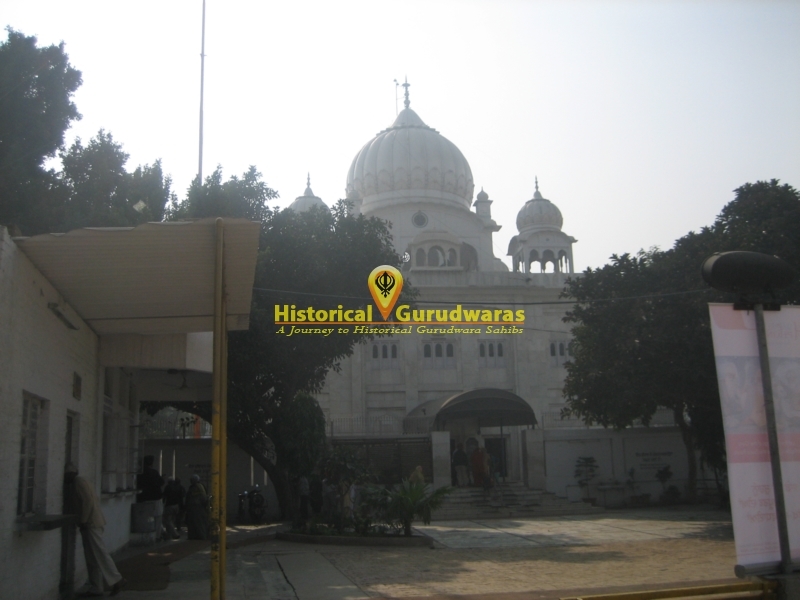 Hazrat Nizamuddin Aulia used to meet GURU SAHIB at this place and discuss divine discourse. 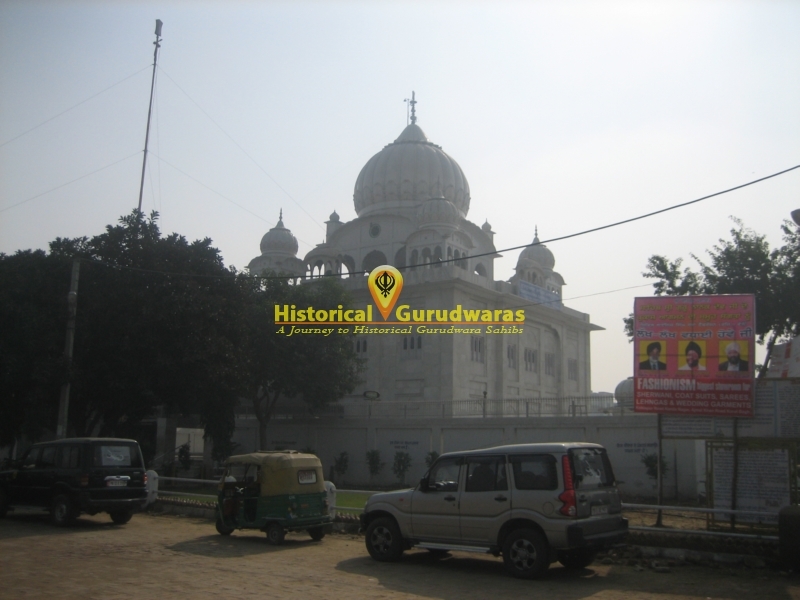 When SHRI GURU HARGOBIND SAHIB JI visited Delhi on the Invitation of Emperor Jahangir, stayed here at this place. 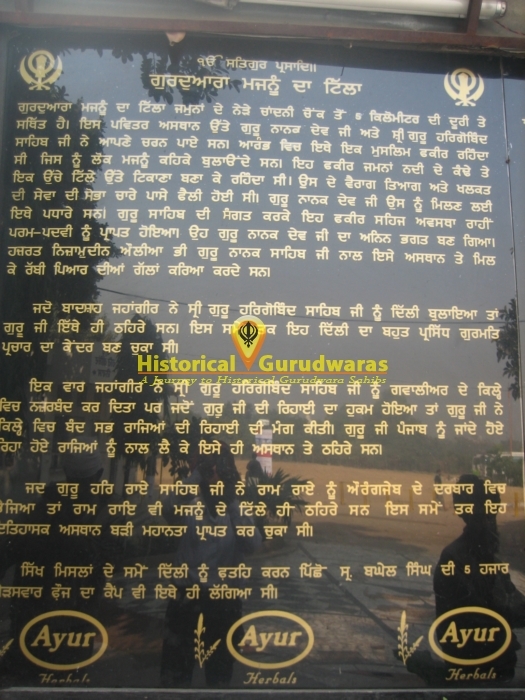 When SHRI GURU HARGOBIND SAHIB JI was released from Gwalior fort, GURU SAHIB demanded release of other kings. 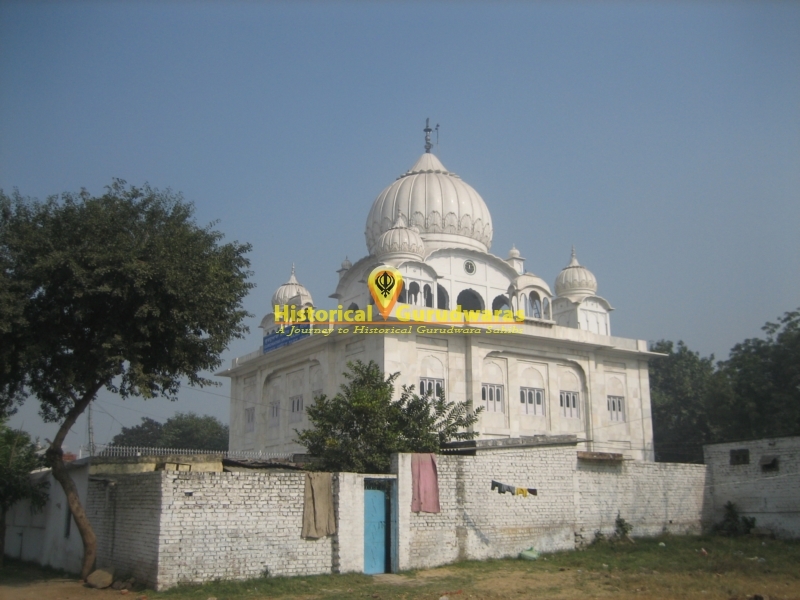 After release GURU SAHIB on his way to Punjab visited this place along with released kings.